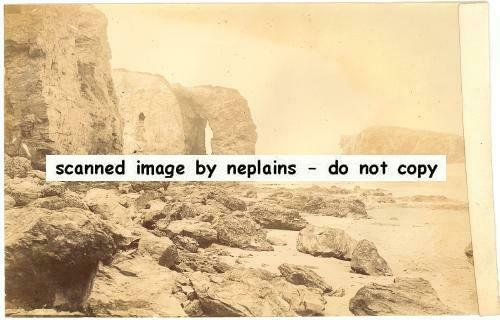 Photo is unlabeled, but appears to be an adult and a child, near the Natural Arch and Chapel Rock. It was found with other photos and items from circa 1906. Measures approximately 5-5/8 x 3-5/8 inches. Minor edge wear. Faint stain along top and right edges.